We love going to the Sugarbush Maple Syrup Festival that is held at Bruce's Mills and Kortright almost every year, and appreciate the gifts nature has to offer. Going to the festival is a wonderful family occasion because we can take a walk and get excited about the upcoming warm weather and learn about the process of making maple syrup. This year due to the weather the festival will be extended until April 13th. The extension is due to the weather this year, since the trees need the warm daytime temperatures and cold nights to produce sap, which is collected and boiled to make syrup. We can go around the trail on our own or take one of the guided tours that are held every hour. My children enjoyed exploring all the fun things during the hike. At the festival we can take a wagon ride for a fee of $1 per adult, and it is free for children. During the tour we can see how maple syrup was made traditionally and the modern process. 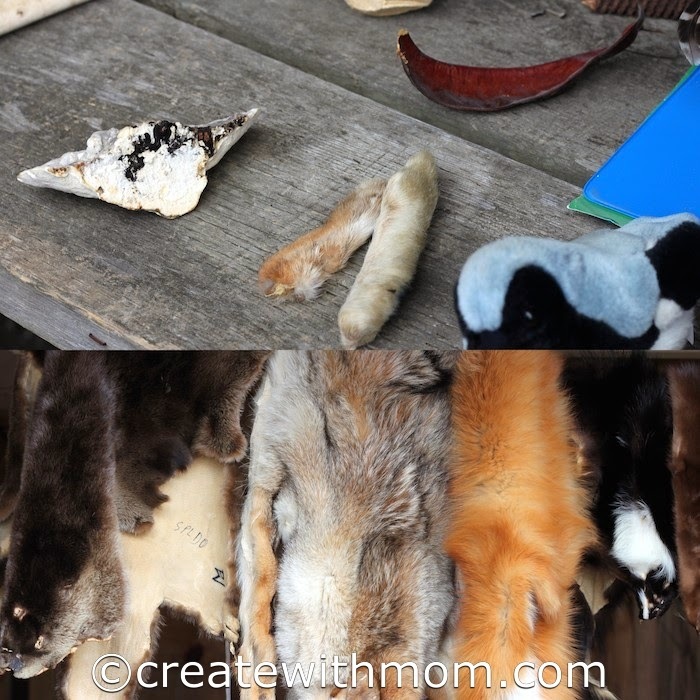 This year at Bruce's Mills we saw, felt and learned interesting things about different animals found in Ontario. We learned that bears and raccoons are related because their skull looks the same except for the proportion. At the festival we will be able to see farm animals, take a pony ride, have pancakes and purchase maple syrup as well as a variety of goodies made with maple syrup. I am glad they had a fire pit in the entrance for us to warm up during this colder than usual spring. Love attending Maple Syrup festivals. Sounds like a great festival. I've never heard of it. I just love attending Maple Syrup festivals. This is one of my favorite activities witht the family. Yum... I'm going to do this! Sounds delicious, I've never been to anything like that before! It is always a good time visiting the sugar shack! We went to our local Maple syrup festival this year and loved it. Hello.Our whole family loves Maple syrup and all the sweet goodies made with it. Maple syrup tastes sooo good. That looks amazing. I love maple syrup. I wasn't familiar with this so thanks for the heads up. How nice! Sounds like a great activity. Love Maple Syrup! I'm glad to see it's extended! We might have a chance of making it out there this weekend. Sounds like a lot of fun - I wish we had something like this near us! Yummy!! That looks like it was a lot of fun. What a great experience that would be for the kids. What a fun time! We tapped trees as a kid for a few seasons when we first moved to the country, it was important to my Dad that we had that experience, I'm glad we did :).